This stylish chair handles well in both indoor and outdoor conditions. With a large captains seat, comfort is assured. 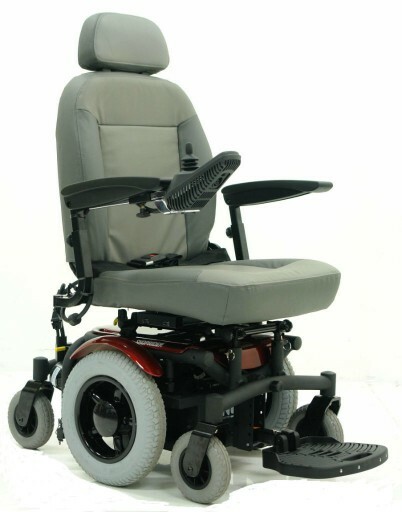 With easy steer and operate joystick and mid wheel drive, this wheelchair will not disappoint.